The Gulfcoast Color Guard and Percussion Circuit(GCGPC) exists for the advancement of winter guards and indoor percussion units along the gulf coast of Florida and Alabama. 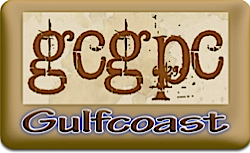 The GCGPC provides leadership, systems, rules, direction, and an arena for the performing units in the gulf coast area. WGI Sport of the Arts is the world's premier organization producing indoor color guard and percussion ensemble competitions. As a non-profit youth organization, WGI serves as the leading governing body of the winter guard and indoor percussion activities. It is called the Sport of the Arts because it brings music to life through performance in a competitive format. Founded by percussionist, educator and businessman Vic Firth, The Vic Firth Company has been setting the standard in the industry since its inception in 1963. Vic’s knowledge of how to incorporate new ideas was unsurpassed. In fact, many of the key manufacturing processes used today were invented or standardized by Vic.